The starting point of an event is usually the desire to create something remarkable for a special occasion. Different disciplines like architecture, light and sound are brought into continually new areas of experience, which makes every event an one-of-a-kind happening. 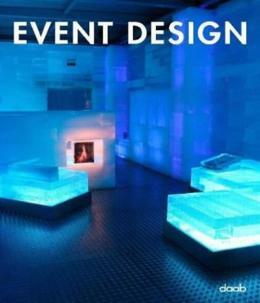 Also the requirements for decor and furniture for such events rise and the creative potential is huge. Nowadays big companies improve their corporate identity by celebrating marketing events and parties. Those events have become a major aspect of business communication: they create customer loyalty and strengthen the "we-feeling" of the company´s team. This book shows a selection of outstanding projects which can be perceived as a unified whole and have been consistently realized in their form and content. An index with contact information of the respective event agencies is enclosed.